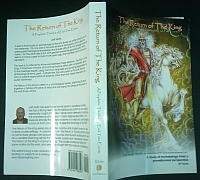 The Return of the King: A Prophetic Timeline of End-Time Events is now available for Amazon’s Kindle reader platform. 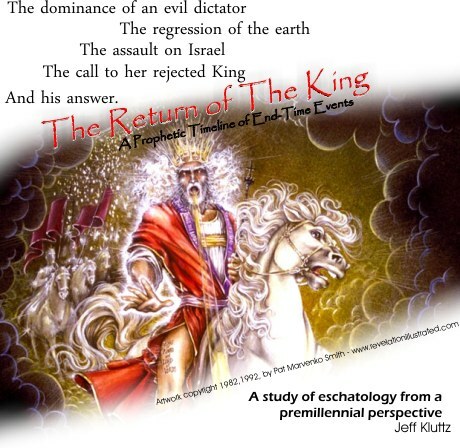 Identical to the full book, other than some formatting changes, this $5.99 e-book is a study of eschatology (end times) from a premillennial perspective. Written to a non-technical audience, the ROTK is written with a pastoral approach to educate readers on technical terms used as they appear in the text. There will shortly also be an Adobe PDF version of the ROTK available, as well as a color-coded Teacher’s Workbook for use in a classroom setting. This short chapter is added for the benefit of some who argue against a Messianic Kingdom.